David Busch, is the founder of the seven Hawaiian Falls water parks, adventure parks and event centers in Texas. Over his 40+ year career in the attractions industry, Mr. Busch has been responsible for the development of 12 greenfield theme and waterpark projects and the turnaround of eight family entertainment centers and waterparks. A serial entrepreneur, Mr. Busch began his career with Lamar Hunt’s Kansas City Chiefs football team while in high school. 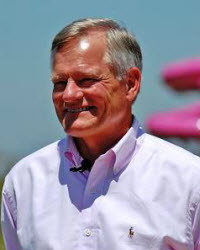 Over the next 17 years, including a four-year stint as Vice President of the Kansas City Kings NBA team, he became Vice President of Hunt Midwest Entertainment with day to-day responsibility for the 160-acre Worlds of Fun theme park and Oceans of Fun waterpark. In 1985, his brother Don and he went “all-in” by purchasing a near- bankrupt waterpark in Sacramento, CA. Since then Mr. Busch has owned, developed and operated 20 successful water parks, theme parks and family entertainment centers nationally and internationally. The numerous family parks he developed or managed have a current market value of over $200 million, have entertained over 50,000,000 guests and employed more than 70,000 young people. Mr. Busch has held numerous board leadership positions including the Kansas City Convention Bureau, the American Royal, Clay County (MO) Visitors Bureau, the Faith Based Amusement Association, Youth for Christ of Northern California, Christian Medical and Dental Society, Crossover Youth Basketball and many others. Barry Griffith brings 13 years of marketplace experience to AttractRev as co-founder. Barry received his training in direct sales and internet marketing. 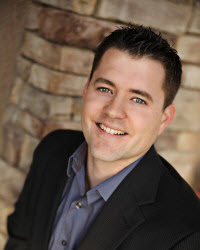 He is the founder of an internet marketing company, as well as co founder in several other online businesses. Barry brings a broad knowledge of the tools and techniques that will increase revenue while saving marketing expenses compared to “old-school” marketing. Barry has been providing digital marketing solutions, educating on best practices for success in an increasingly online world. Barry has also been instrumental in the launch and growth of the Fellowship Chamber in the Sacramento region. A graduate from Fresno Pacific University with a degree in Business Administration Marketing. Barry lives with is wife Helen and their three children in Roseville CA. While living and working in San Francisco over the last decade Allison O’Holleran has been at the center of the marketing technology revolution. Her wide breadth of experience includes a two year stint at The Blue Shirt Group (www.blueshirtgroup.com) where she gained invaluable experience in helping shape the image and brand of companies Dr. Dre, Zipcar, Marketo and Yelp!. During her three years at Salesforce.com (www.salesforce.com) in Silicon Valley and San Francisco she introduced companies to CRM management and digital marketing automation. At Salesforce.com she gained industry-leading expertise in sales systems and processes, and regularly advised companies of best practices in starting and scaling effective sales organizations. She was recognized numerous times at Salesforce.com as a sales leader and was the recipient of numerous sales incentive contests. In her account executive position at OPTIMIZEY (www.optimizely.com) she advises some of the largest companies in America on how to most effectively test, evaluate and optimize their digital marketing efforts. As the daughter of the founder of over 20 theme parks, water parks and adventure parks, Allison grew up in the attractions business and worked many seasons in all areas of operation, marketing and administration. 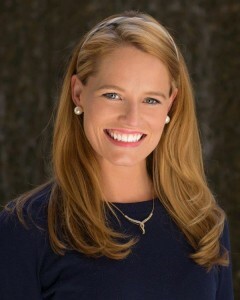 Her hands-on knowledge of the attractions business combined with the unique skills she has gained in the technology field greatly benefits AttractRev.com clientele.